Tootsies World Famous Orchid Lounge has been a hub for many Country Music legends such as Faron Young, Patsy Cline, Kris Kristofferson, and Loretta Lynn. Picture this: It's Nashville, the bar is packed, the ‘shine is flowing, and the music is rocking. Where are you? None other than Tootsies World Famous Orchid Lounge! 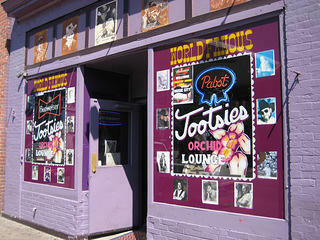 Tootsies is the most famous honky tonk on downtown Nashville’s Broadway. It has hosted and nurtured dozens of Country Music’s legends -- such as Faron Young, Charley Pride, Patsy Cline, and Loretta Lynn, to name a few -- and is responsible for grooming many of Music City’s stars of tomorrow. With such a reputation, Tootsies has become a legend in and of itself. 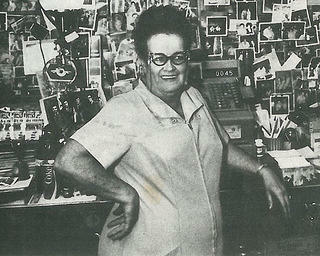 Hattie Louise "Tootsie" Bess bought Mom's in 1960 and renamed it Tootsies Orchid Lounge. The legend began in 1960 when Hattie Louise “Tootsie” Bess bought a bar named Mom’s. After buying Mom’s, Tootsie hired a painter to refurbish the place. One day she came to the bar to find that he had painted the whole place orchid. From that day on, Mom’s became known as Tootsies Orchid Lounge. Tootsies is located behind the Ryman Auditorium, which was home to the Grand Ole Opry from 1943 to 1974. From 1960 to 1974, Tootsies was positioned to accommodate the up and coming stars that appeared on the Opry. Those who frequented Tootsies between sets were Roger Miller, Willie Nelson, Kris Kristofferson, Harlon Howard, and Merle Kilgore, among others. As these icons gathered at her honky tonk, Tootsie Bess began to collect their photos and plaster them all over the wall, effectively creating what is today renowned as Tootsie’s Wall of Fame. As the owner, Tootsie Bess become an icon, not only for the popularity of Tootsies Orchid Lounge, but also for her kindness. Sign at the back door of Tootsies World Famous Orchid Lounge. With this repertoire, Tootsie Bess established herself, and her Orchid Lounge, as an invaluable part of the Nashville community. Although Tootsies became a notable part of the downtown Nashville scene, the honky tonk soon fell upon hard times. In 1974 the Grand Ole Opry moved to the Opryland Complex. As a result, Tootsies' popularity declined, and by the time Tootsie Bess died four years later, the Broadway strip in downtown Nashville had also settled into urban decay. By the 1990s Tootsies Orchid Lounge was in danger of closing. Steve Smith, who had been renting Tootsies on a month-by-month lease, became determined to save it. 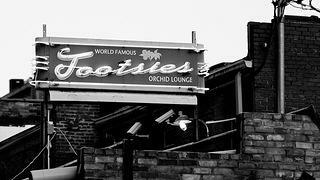 By 1997 he had bought and acquired all rights to Tootsies, and through his hard work revived the iconic spot. 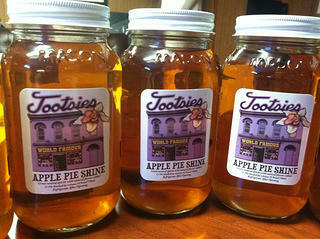 Tootsies Apple Pie Shine is the most popular drink at Tootsies Orchid Lounge. Today, Tootsies World Famous Orchid Lounge is a thriving, must-see stop in Nashville for Nashvillians and tourists alike. 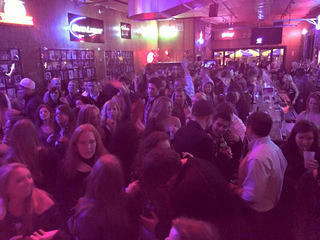 The honky tonk is packed every night of the week with live bands playing on the first, second, and the recently added third floor patio. Tootsies continues to receive up-and-coming artists who aspire to establish themselves and potentially get their photo on Tootsies Wall of Fame. And this tradition has not gone unnoticed. In 2011, the Country Music Hall of Fame and Museum honored Tootsies with a photo exhibit entitled “Tootsies Orchid Lounge: Thirty-Four Steps and Fifty Years.” The exhibit recognized Tootsies' contribution to Nashville and the Country Music industry with photos that encapsulated key moments in Tootsies' legendary history. A typical rocking crowd on the recently added third-floor patio. Hours: Monday & Tuesday: 11 a.m. - 9 p.m., Wednesday & Thursday: 11 a.m. - 12:30 a.m., Friday & Saturday: 11 a.m. - 2:30 a.m., Sunday: 12 p.m. - 6 p.m. While You're In Town: Check out Nashville's Music Row, one of our National Treasures. Jamesha Gibson is an Editorial Intern at the National Trust. She is passionate about using historic preservation as an avenue for underrepresented communities to share their unique stories. Jamesha also enjoys learning about other cultures through reading, art, language, dancing, and especially cuisine.